We do love making sensory bottles! 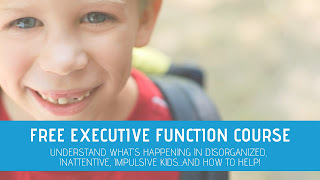 They are a calming sensory tool for visual and proprioceptive input. 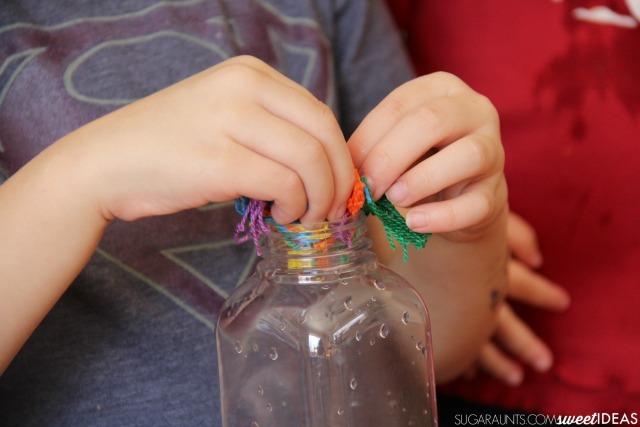 Shake a sensory bottle and watch the contents slowly fall for visual sensory input. There is just something relaxing about watching a sensory bottle. 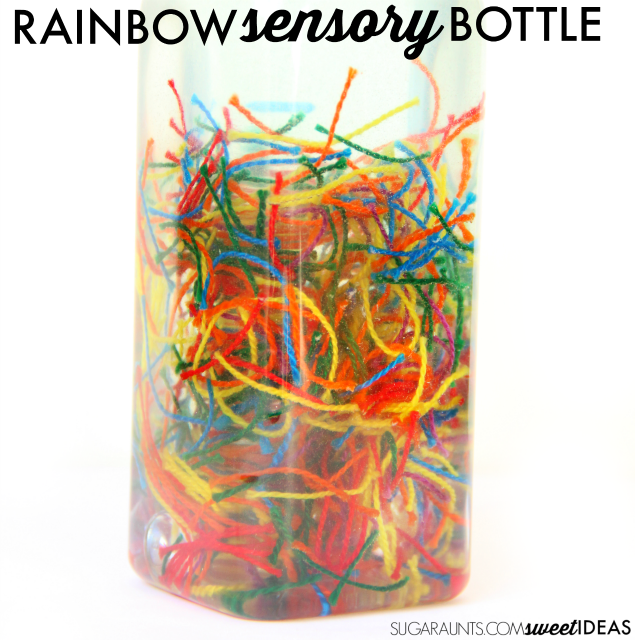 This rainbow sensory bottle is colorful and packs a fine motor punch when the kids are involved in the making process. 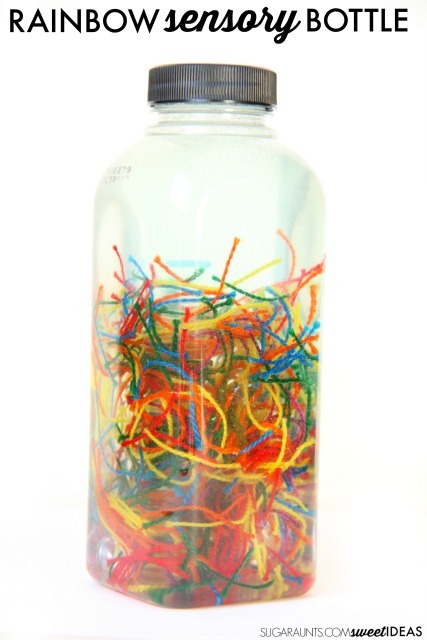 To make the rainbow sensory bottle, first cut the friendship thread into 1-2 inch lengths. Have your kids fill the bottle with the thread. 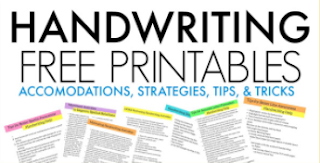 This is a great exercise in fine motor skills to work on tripod grasp and neat pincer grasp. My toddler and preschooler really got into pushing the thread into the bottle. Once all of the thread has been added to the bottle, pour in about 1/2 inch of body wash. Amounts are approximate and will vary depending on the recycled bottle you use for your sensory bottle. Add water to the top. As you add water, suds will form. Continue adding water to allow the suds to spill over the top of the bottle. When MOST of the bubbles have poured out of the bottle, twist on the lid. Now, give the sensory bottle a big shake. This is the job for the kids. Have then shake the bottle to mix in the gel. Now. As you shake, more bubbles will form but let them settle. After the gel and water has mixed, add a couple of the glass gems to the bottle. These help to mix and stir the rainbow thread within the water-gel combo. An added bonus of the marbles is an added bit of weight in the bottle. 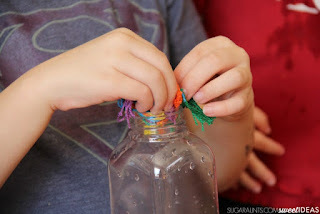 This gives the sensory bottle some heavy work to the sensory play. 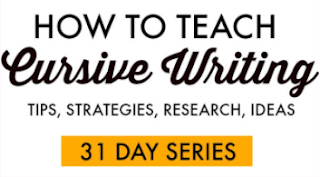 Shaking a bottle that is heavy provides proprioceptive input. 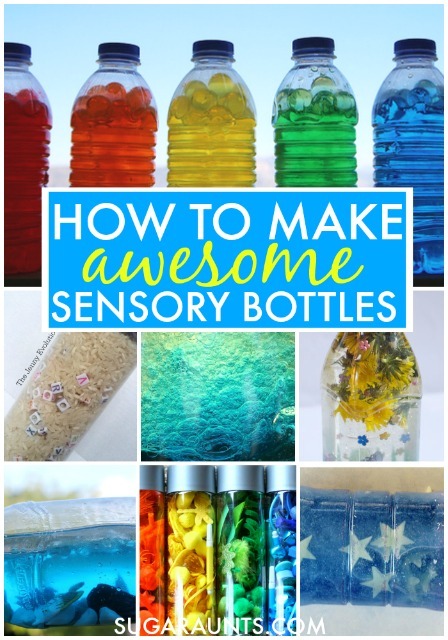 Want to see more rainbow sensory bottles?